Lift, place or glide. Our magnet system makes it easier to use your iPad case. The magnets align the cover perfect in the center of the bottom part. The cover adhere also on the backside of the bottom case. 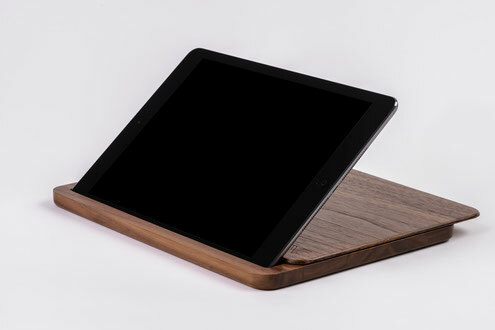 Protection with the finest suede fabric for your iPad on the backside of the cover and inside of the bottom case. 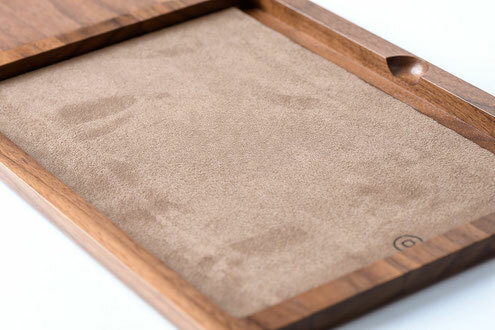 The suede will protect your iPad from scratches or bumps. Lift the iPad slightly and you can start working instantly. Put the top cover below the iPad to maintain it. In each angle all plugs and buttons are free and reachable. 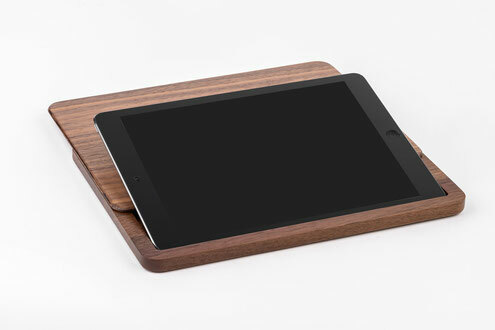 The strong magnets holds the cover in this position to support your iPad even if you press strong on the display. What´s your best angle? 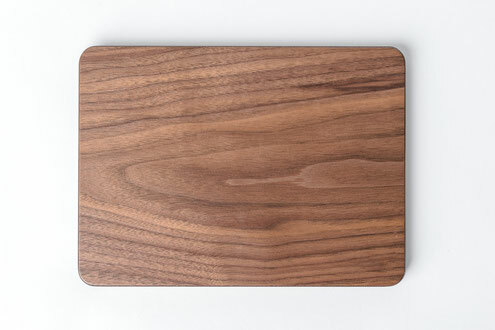 It´s easy to find the right angle for writeing documents on your iPad by positioning the top cover. 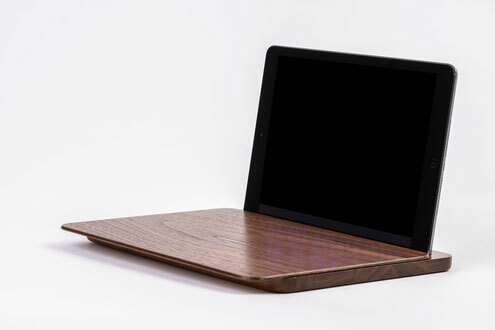 Place your iPad inside the woodcase wall and turn into your video station. Presetations during your business meeting is no longer a problem. Like using your keyboard? 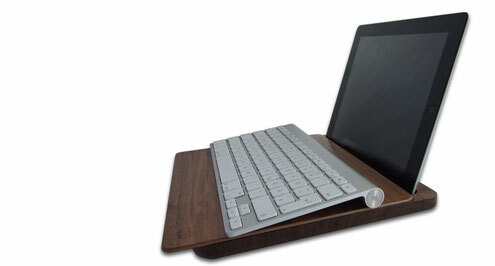 Simply add the apple bluetooth keyboard to your iPad case and you turn your iPad into a wood top.